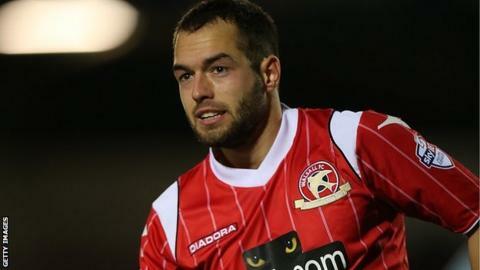 Walsall have re-signed former Chelsea winger Milan Lalkovic on a one-year deal after he left Barnsley. The Slovakian scored six times in 42 games while on loan at The Banks's Stadium in 2013-14 before agreeing a move to Oakwell in January this year. "I'm really pleased to have Milan back on board," Saddlers boss Dean Smith told the club website. "There's a lot of potential in him and now that he's our player, we can commit to getting the best out of him." Lalkovic, who did not force his way into the first team at Stamford Bridge, has had loan spells with Doncaster and in the top flights in the Netherlands and Portugal. He played 17 times for the Tykes last term and has been allowed to end his contract early after initially signing an 18-month deal. Lalkovic is the League One Saddlers' third new signing of the summer following the arrivals of goalkeeper Neil Etheridge and defender Jason Demetriou.